Convenience store-sized supermarkets such as Tesco Metro and Sainsbury’s Local have fast become a regular fixture on high streets up and down the UK. But our research shows that you could be paying up to 7% more by shopping in these smaller supermarkets than if you went to a full-sized counterpart. Snapshot research exploring pricing at M&S Food, Sainsbury’s, Tesco and Waitrose has found that all four supermarkets bump up their prices in at least some of their convenience stores. And price premiums aren’t the only thing that set convenience supermarkets apart – we also asked shoppers to rate their experiences in supermarket convenience stores to uncover the nation’s most and least loved convenience stores. We compared the cost of a small basket of goods at eight convenience supermarkets and their nearest full-sized equivalent in London in January 2017. The largest price difference we found was at Tesco Metro, which was 7% pricier than Tesco. There was only one occasion where the convenience supermarket had the same prices as the full-sized version – a branch of M&S Simply Food. However, we discovered a second branch was 5% pricier than its nearest full-sized equivalent, the same margin we saw for Sainsbury’s and Waitrose. When we asked M&S, Sainsbury’s, Tesco and Waitrose for the reason for the higher prices in smaller stores, they put it down to running costs and rent. Our snapshot research suggests that larger supermarkets are generally cheaper than their ‘convenient’ equivalents, but which chain is the cheapest overall? Each month we compare the prices of a basket of branded goods at each of the major supermarkets to find out. See this month’s winner on our supermarket price comparison page. Almost a third (32%) of the 1,200 Which? 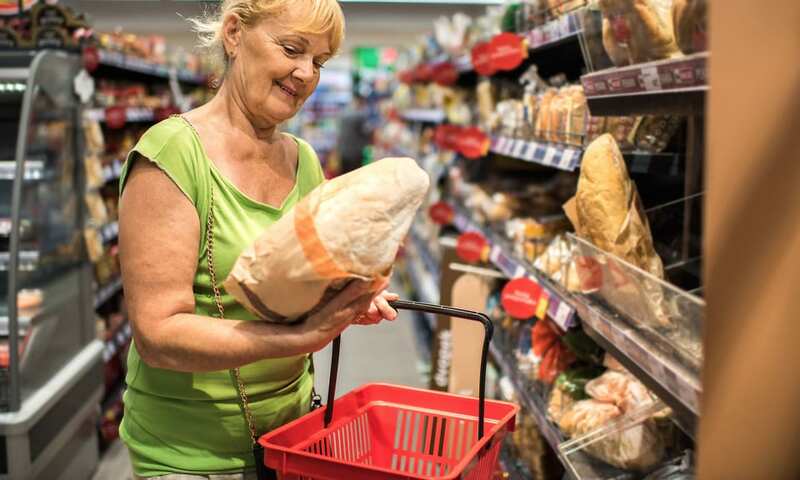 members we surveyed about supermarket prices said they hadn’t noticed any difference between convenience supermarket prices and those in larger stores. While this may in part be because there isn’t always a price difference between identical products, some smaller supermarkets also use a further tactic to encourage you to spend more: they don’t always stock the lower priced options you’ll find in big supermarkets. This means that if you’re hoping to quickly pick up something you forgot to buy in your weekly shop, you may have to go for a pricier version of the product you usually buy. We found that this is typically because own-brand products aren’t always stocked, meaning you have to pay over two-times as much to buy a branded product instead – examples we uncovered included plasters, deodorant and teabags. Tea bags – Taylors of Harrogate Yorkshire Tea (80 teabags) at M&S Simply Food £2.50 vs Simply M&S Everyday Teabags (80) at M&S £1.10. (M&S told us that its own-brand tea-bags are typically available at M&S Simply Food, and were out of stock during the three weeks we were checking). For more on how Britain’s supermarkets compare, including the results of our 2017 supermarket customer satisfaction survey, go to best and worst supermarkets.